There are many camera accessory brands on the market. Most accessories are manufactured in China and then branded with a western company name. At CP Tech, we manufacture over 90% of our parts and we pay very special attention to quality control. When purchasing a Cptech accessory, you buy a product that we have created with the same passion for photography as our customer. 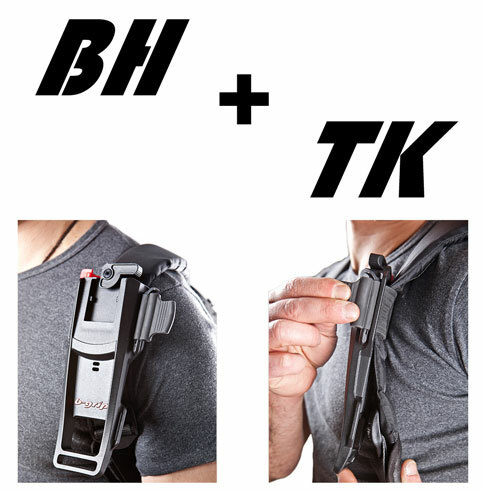 The b-grip line is the only line of accessories that are fully compatible each other. Like in a perfect modular system, b-grip allows users to customize their camera easily and effectively, by switching between settings without changing any fittings or making any adjustments. 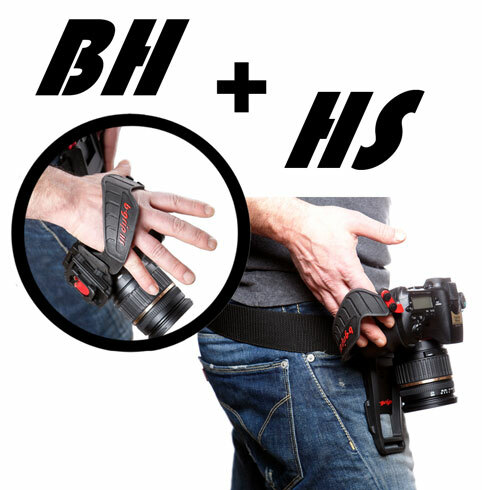 Easy switch between B-Grip equipped camera mounting on a tripod (every brand and model) and fastening to the belt holster. All our settings are built around our unique quick release plate that features innovative and unbeatable anti-rotation solutions for a safe attachment that no other plate can guarantee. Most b-grip line components are patented. Design, engeneering and manufacturing are all made in Italy, which is a guarantee of the highest European quality. Is metal always a good solution for accessories? Our answer is no! Not always. We have spent a long time researching and testing the most suitable materials for our products. Our goal was to find the perfect balance between light weight and solidity. 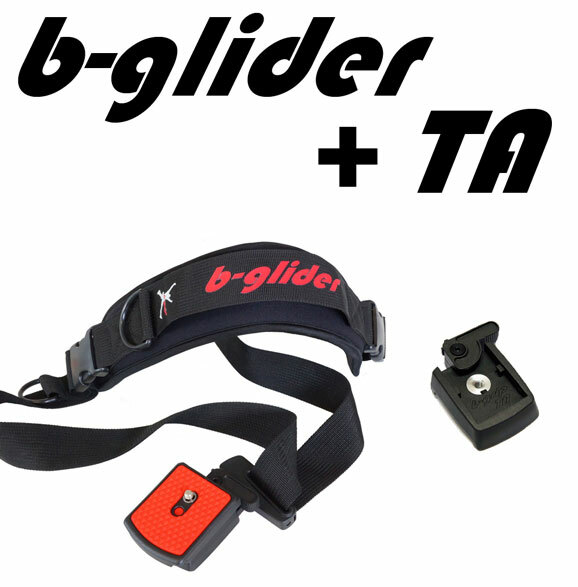 Every b-grip accessory is made of a sophisticated and expensive fiberglass loaded techno-polymer developed by Bayer. This polymer is used in many high-level components built for sportcars as well as for the aerospace industry. So, although most of our parts are injection molded, they are totally different from the budget plastic components of many other manufacturers. The superior quality of our accessories is immediately notable at first sight and at first use.